Bringing to your attention Team Whyme? a London based label with a collection inspired by street art and graffiti. 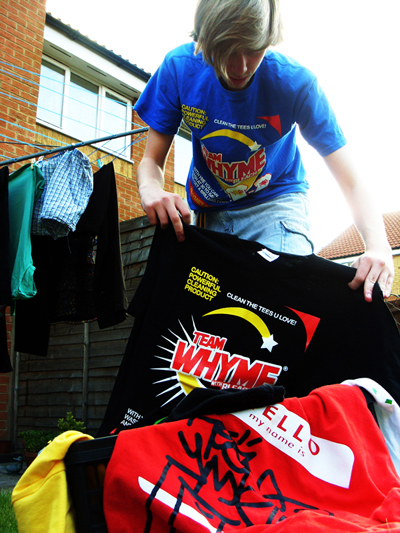 The brand have a huge line of t-shirts and jumpers in a wide range of different colours with designs crafted personally by the duo behind Team Whyme?. What’s more, each item produced is limited to 50 pieces, no extras, no re-prints, so each a purchase will always be exclusive. You can view and purchase the whole range direct from the Team Whyme? online store, but remember, quantities are limited, so don’t sleep.